Central Flying Service, a 70-year-old aviation icon in Little Rock, Ark., is joining Phillips 66 Aviation as a branded dealer. Central Flying Service is the county’s largest FBO facility and the oldest aviation business in Arkansas, according to company officials. The FBO sits on 77 acres at Adams Field (LIT), featuring 558,000 square feet of covered space in 21 hangars. Founded in 1939, today Central Flying Service employs more than 240 people and offers interior design and refurbishment, sheet metal, avionics, custom paint, flight training, charter, maintenance, aircraft sales, fueling, catering and an onsite airport restaurant. 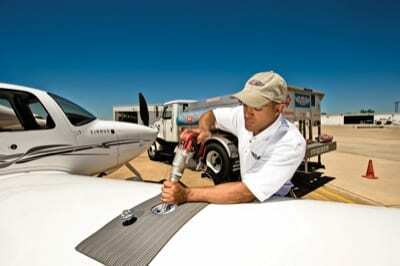 Central Flying Service is a WingPoints Rewards Card participating location and offers Phillips 66 Aviation’s Partners-Into-Plane contract fuel.